Q: Who is you're greatest opponent? A: Yourself. 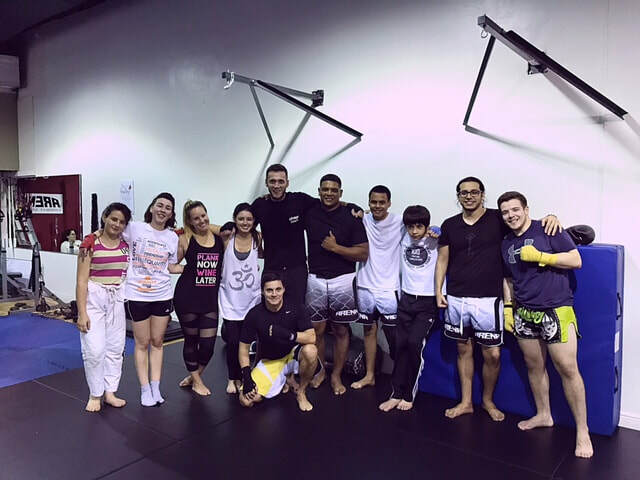 Arena Combat Sports provides you with the environment to learn Mixed Martial Arts in a fun safe environment. MMA is an open-style fighting sport and martial art in itself. It's similar to a Decathlon, where success is based on a fighter's mastery of various disciplines. Mixed Martial Arts will not only get you in great shape, it will also help you reach goals you never thought possible. 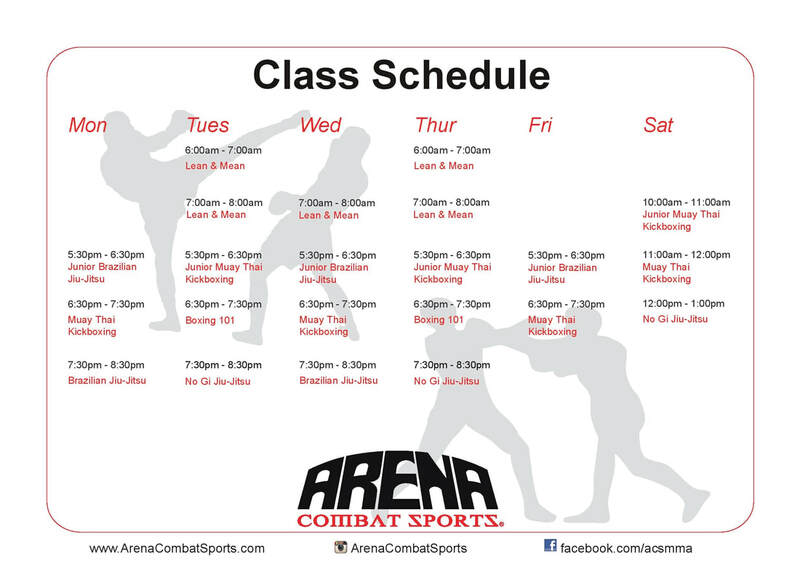 Get the most out of life, on and off the mats with Arena Combat Sports! We're getting closer to that time of year and we are happy to announce our third annual ACS Summer Camp! Located on Calle Ocho, Little Havana, we are very central to accomodate the downtown and Brickell communities. We will be hosting classes in Kickboxing, Brazilian Jiu-Jitsu, and boxing plus special semminars and field trips. Call or write to us for more details. Early sign up rates still available. Seats are limited! Our 2 assistant instructors were amazing at the ISKA Kickboxing and MMA tournament! They both got first place in the Junior Kickboxing brackets. Keep up the good work guys next time we'll take 1st in MMA as well!! OSS! ​Our new schedule is finally out. We have added 2 new morning classes at 6 a.m., they're doing great! Also, due to popular demand, we made the kids class longer and combined the 2 age groups. Fun Classes, Burn Fat, Learn Self Defense! Beginner Kickboxing..
​After a long stretch of hard work and tedious searching, we are proud to announce our new Arena Combat Sports location! We will now be located at 1852 SW 8 Street, Miami, Florida 33135, teaching the best classes in Muay Thai Kickboxing, Brazilian Jiu-Jitsu, boxing and wrestling! Feel free to pass by and say hello whenever you're in the area! She’s traveled all over the world teaching seminars and workshops. We are happy to introduce Adriana to our group. For the first time, our 2018 Summer Camp will be a joint project featuring our own ACS martial arts, and Miami Star Gymnastics' gymnastics and dance program. Some highlights Adriana's impressive bio are listed below! Our 2018 Summer Camp has arrived! Would you like your kids to spend their summers off the couch & off their cell phones while getting in shape, learning self defense, and building self esteem? There's no better way than at an ACS Summer Camp! We will be in the Brickell / Little Havana area servicing Coral Gables as well. We will feature classes such as Brazilian Jiu- Jitsu, Kickboxing, Wrestling, Boxing, Gymnastics, Capoeira, and much more! Our instructors are world class and very passionate. We will have biweekly outdoor excursions. Big congrats to both Moises (1st place), Eduardo (2nd place) for showing up to do work at the ISKA amateur kickboxing and MMA tournament last weekend! You guys work really hard and put everything in the ring! Stay focused and keep racking up those wins! ​Hello everyone, due to popular demand, we added an extra 15 minutes per class to the Junior classes ages 4-6. They will now begin at 5:15 pm on weekdays and end at 6:00 pm! Hello everyone. We are glad to announce that we have our electricity back and that we are open for business on a full class schedule! We will however continue to pray for those of us not as fortunate. If anyone needs help or is in trouble please contact us and together we can get through these rough times! Hello everyone. It's that time of year again. You are more than welcome to attend our BJJ Graduation ceremony this Monday Aug 23 2017 at 8:00pm. Some of our most dedicated students are long overdue and very well deserved! Bring your friends and family over for this festive and sacred moment. Food and drinks will be available. 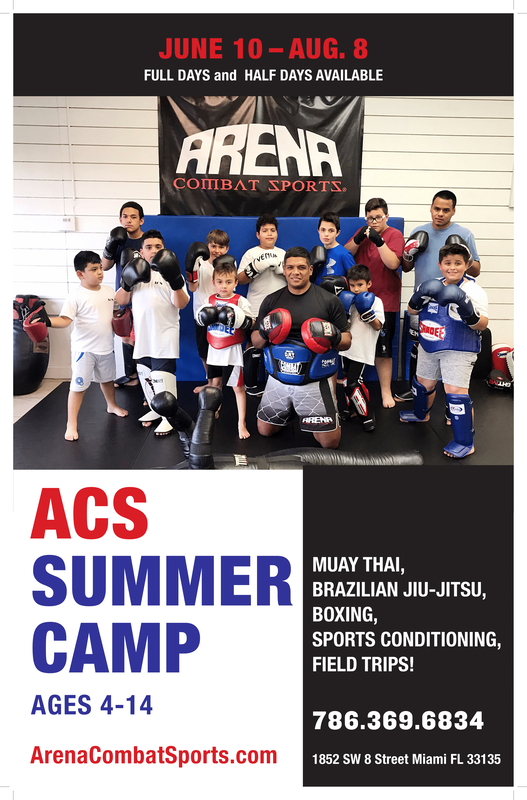 ​Introducing our 2017 ACS Mixed Martial Arts Summer Camp! Kids ages 4-6 & 7-17 will train together and learn together. We provide a happy and safe environment for children to experience disciplines such as Muay Thai, Brazilian Jiu-Jitsu and more. They will develop self esteem, discipline, and respect for others while having an amazing summer! We have an amazing offer for first time members. Call us to schedule a free trial! !